If there is one franchise that has really struck a chord in the hearts of horror fans everywhere, it is Friday the 13th. Jason Voorhees is a character that has carried on through the years; the fan base for the series still continuing to grow even 40 years later. Unfortunately, fans of the slasher series have not seen a remake since 2009 when Michael Bay helmed the project. Since then, an ongoing rights battle between studios and creators have prevented fans from seeing Jason Voorhees from returning to screens whether it be as another reboot, or a sequel continuing the series. Recently, the battle took to the crowd pleasing Friday the 13th: The Game, which will now no longer be releasing any new content. Although the rights battle has put a damper on the moods of some fans, there are those fans that actively make an effort to keep the name of the series alive. Last year, Vincente DiSanti wow’d Friday fans all across the world with his fan film titled Never Hike Alone – a phenomenal feature. 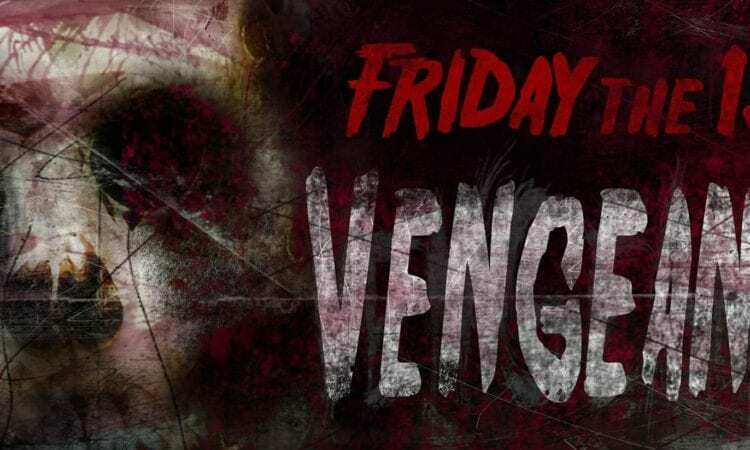 This year, Friday fans have something new to look forward to – and that is a film called Vengeance, a new Friday fan film that is already spreading hype across social media. One of the main reasons being, Director Jeremy Brown along with a fantastic writing staff and admin team are bringing a character to life that has escaped fans for so long. Elias Voorhees. Elias Voorhees, a character that many fans will recognize from the comics and novelizations, was depicted to be the father of Jason. In the comic series Jason vs Leatherface, Elias was shown to hate his son and frequently called him a monster. Elias was also originally scripted in the Friday the 13th: Jason Lives movie, but was later written out. It is incredibly exciting that Elias will not only be brought into the film, but he will also be played by C.J Graham, who played the character of Jason Voorhees in the 6th film installment in the series. Suffice to say, this is going to be quite an incredible film. Details for the script are still underway, but this small teaser alone is something to make Friday fans go crazy. In addition to this awesome alumni news, Mick Strawn (set designer for Nightmare on Elm Street Part 3-4) is also on board for the project. Something particularly touching about this film project, is what the team’s goals are for their kickstarter. Once the team reaches their Kickstarter goals needed for filming, anything beyond is going to be donated to the Shriner’s Children’s Hospital burn victim ward- with a promise to match every dollar raised as well. CJ Graham will also be donating his entire salary for the film to the charity – which is absolutely inspirational and incredible. For more updates on the film and for KickStarter Updates, be sure check out the film’s official IMDB page and to follow the Facebook Group here.